Otis Redding’s seminal soul album, Otis Blue/Otis Redding Sings Soul, was released 50 years ago today (September 15.) “Otis was a storyteller through these songs. Otis Blue takes you on a journey of the ups and downs on certain songs, and through love and pain on others. The album will forever remain a classic to his many fans around the world,” says Otis’ wife, Zelma Redding. Did you know these 5 facts about the unforgettable record? The album was recorded in two sessions over a 24 hour period on July 9th and 10th, 1965. Why two sessions? Booker T. & The MGs, the house band for the session, had previous engagements! They left to go play their gigs and then came back to the studio to finish the record. Isaac Hayes played piano on the record. He was an MG at the time! 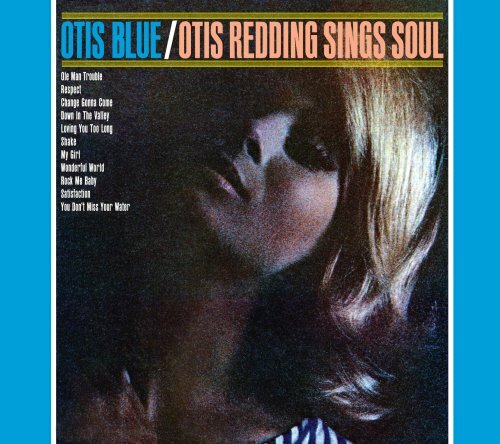 Even though Otis had released “I’ve Been Loving You Too Long” the previous April as a single, the version that you hear on Otis Blue is the first one recorded in stereo. It also benefited from several months of performance on the road, where Otis honed his inimiatable delivery on the song. At the time, Volt (the subsidiary of Stax that released the record), chose to put a white woman on the cover because they thought it would sell better than a picture of Otis. The woman on the cover has never been identified, but it is most likely German model Dagmar Dreger. Put the power of the internet to use, and help us #FindDagmar, and talk to her about what it is like to be on the cover of such timeless and legendary album. Click here to participate. Buy the collector’s edition of Otis Blue/Otis Redding Sings Soul here. Otis Redding Sings Kids Back To School!